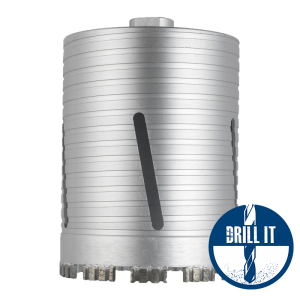 A powerful, feature packed drill motor for use with wet and dry core drills. 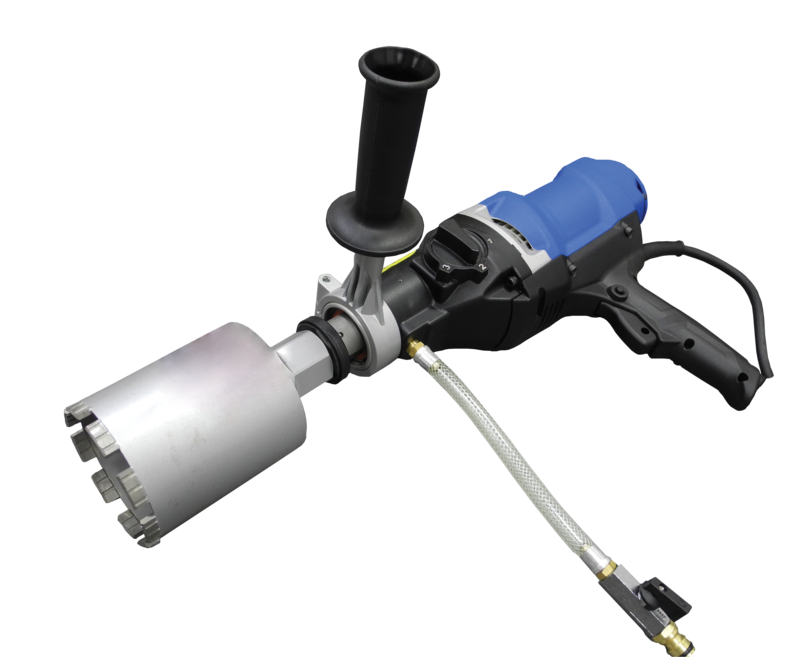 For dry drilling please select the AD3-DRY adaptor to enable the use of a dry core drill. 1.7KW power means the DD-150 can be used with cores up to 162mm diameter. The core drill will perform more effectively – faster and with less binding. DD-150 can be used effectively with the full range of diameters from 12mm to 162mm. Highest RPM setting is 4270rpm. The 60mm collar means that a user can mount the DD-150 on any standard drill rig and use it for hand held drilling. 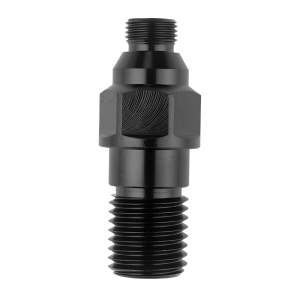 DD-150 can accomodate 1/2″ BSP(M) & 1-1/4″ UNC (F) drill through the use of a double thread (1-1/4″ UNC external & 1/2″ BSP internal). The DD-150 has a built in pistol grip as opposed to a D-handle. 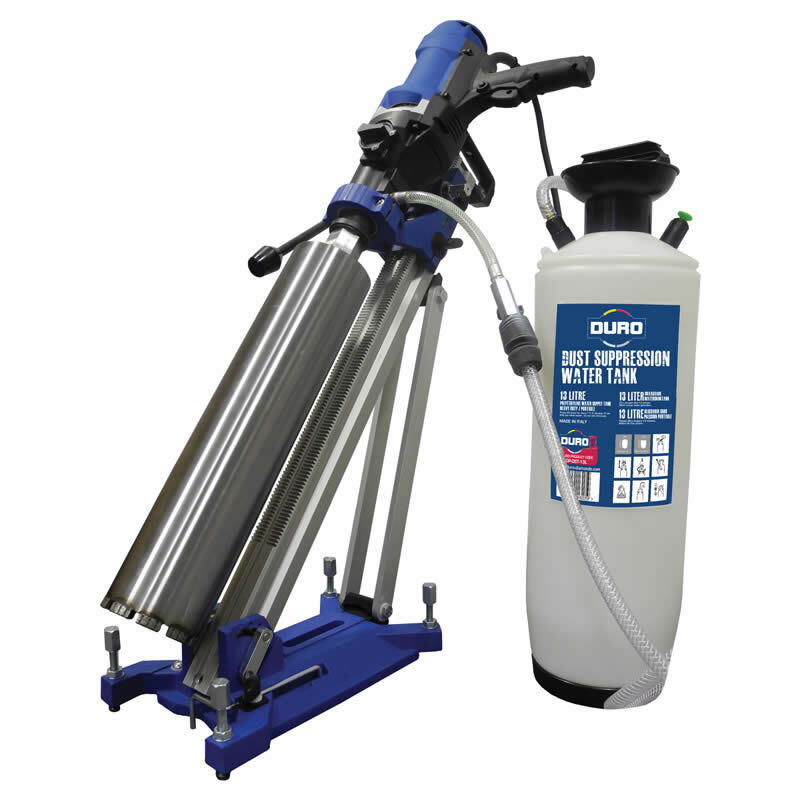 This gives the user the ability to gain a safer and more controlled drilling position. Enables accurate drilling. Water feed connection to connect directly to DURO DP-DST-13L water tank. 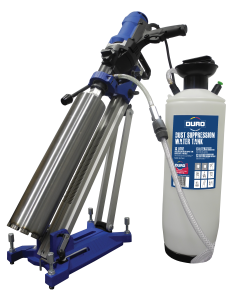 Wet and dry drilling – either hand held or used with wet and dry core drills. 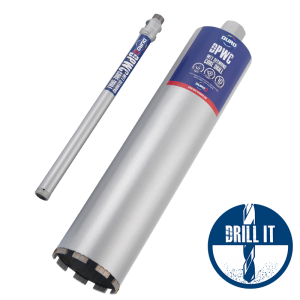 For dry drilling please select the AD3-DRY adaptor to enable the use of a dry core drill.